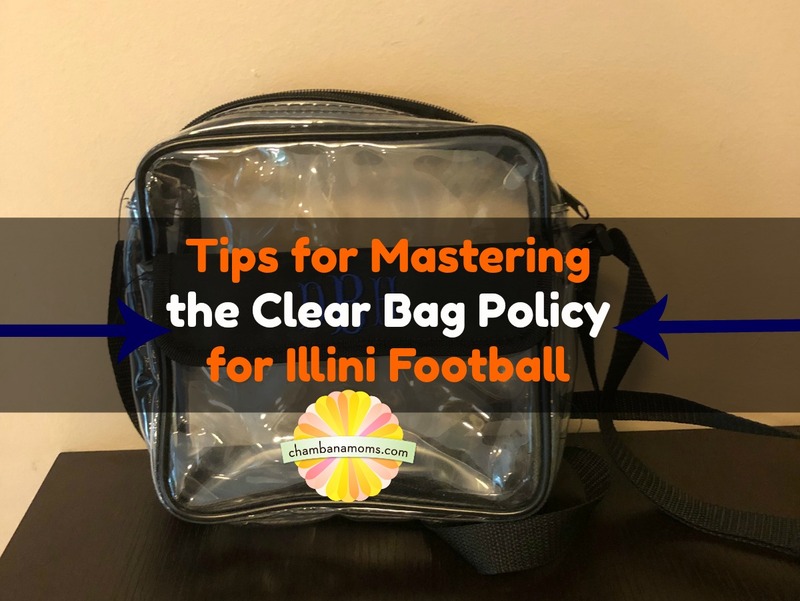 UPDATE: As of Aug. 28, 2018, the State Farm Center has also implemented a clear bag policy. Read those restrictions here. This summer my mother-in-law took me and my sister-in-law to a Country Music Awards festival. She gifted us our tickets in clear, monogrammed purses. 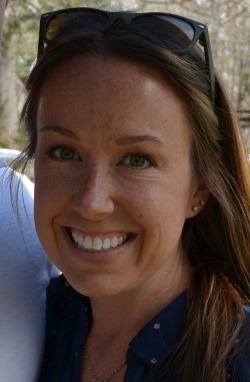 She explained that the festival implemented a rule that only allowed clear plastic bags/purses. They want to enhance existing security measures at football games. The new policies will expedite fan entry into the stadium. If you can see what entrants have without having to open their bags—the lines are certainly going to go faster. Here’s the good news: we’re here to help. Make sure to be prepared, and you can be an expert in the clear bag game! We help you get prepared before you hit the turnstiles this fall at Memorial Stadium. 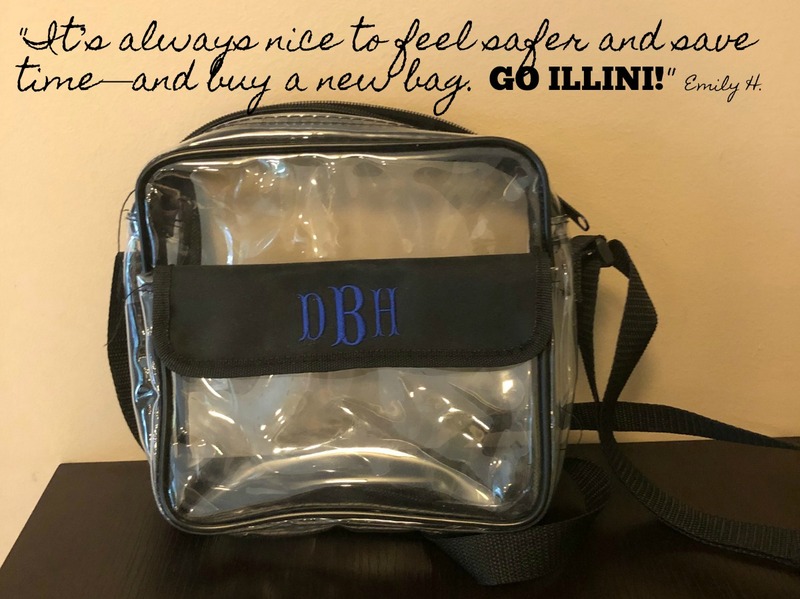 If you go to a lot of games and/or want to add to your Illini gear, invest in an Illini-labeled clear bag, purse or drawstring backpack. You can buy clear bags locally at Gameday Spirit. There’s also plenty of clear bags to buy online. You can get a clear tote, crossbody purse, or others. There are plenty of clear bags that don’t have a team on them, if you prefer. Remember only one bag per person. If you have a baby or young child, you can still bring a diaper bag. We are pretty lucky that the powers that be here in Champaign-Urbana decided to make this exception, as most stadiums DO NOT. Be aware, you still need to have the child with you, and you will be searched. If you don’t want to invest in a clear bag, don’t fret. One gallon clear plastic storage bags are allowed in, so think Ziploc or the like. (But only one per person). A small clutch (we recommend a wristlet) no larger than 4.5” x 7” may also be carried in along with the one clear bag. The small clutch allows privacy for small personal items and also is easily searched (and yes, everything is subject to search). You can still bring in blankets and jackets. I have a favorite jacket with LOTS of pockets that I now wear to games so I don’t need a bag. Leave the strollers at home. In past years, strollers were allowed at Memorial Stadium, but no more. Our advice: wear your baby. Buy or borrow a baby carrier. An exception will be made to allow medical items that cannot be transported in a clear bag into the venue. Guests carrying medically necessary items or equipment will be required to have their bags or equipment inspected and tagged by security supervisors located at the gates. What happens if you forget? Fans will have the option to return bags to their vehicle or use one of two complimentary bag check locations (one in Grange Grove and the other off of Kirby Avenue). If you want to bring stuff in, you will still need to transfer it to an approved clear bag. During the aforementioned music festival, I was stuck behind this young drunk woman. I was eye level with her clear backpack. Of course, I couldn’t stop taking inventory of her bag. Cigarettes, magnum condoms, tampons—basically the most intimate, embarrassing contents you could imagine. I thought she was maybe expressing her opinion of the clear bag rule? I’ll never know. Either that or she has one hell of an exciting life! With that said, people are going to be able to see what’s in your bag. Pack modestly. Also, leave the strollers at home. Invest or borrow a baby carrier. Practice using it before you get to the game! Those mummy wrappers look complicated. It’s always nice to feel safer and save time—and buy a new bag. GO ILLINI!